Located less than a 5 minute drive (.5 mile / 0.8 km) to the San Jose Airport terminals, this modern Silicon Valley hotel is adjacent to the US 101 Freeway (I-101), CA-87 and 8 minutes’ drive from downtown San Jose. One of the best SJC Airport Parking lot with or without hotel stay. 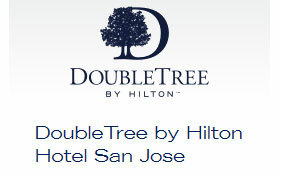 Visit website at doubletree3.hilton.com and book online. 2050 Gateway Place, San Jose, Ca 95110, United States.